We comprehend that natural and physical damages can cause harm to goods and hamper with the quality. Therefore, we make sure our products are wrapped firmly with superior packaging supplies. With the due assistance of our deft professionals, we are making available top-of-the-line quality products from Vadodara(India). 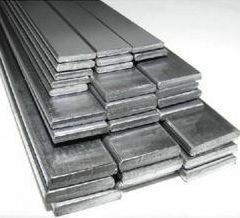 We supply Mild Steel Flats which are commonly used for various construction purposes in offices, buildings etc.